Review: "Secret Rule: The 7 Endless" - Sea of Tranquility - The Web Destination for Progressive Music! 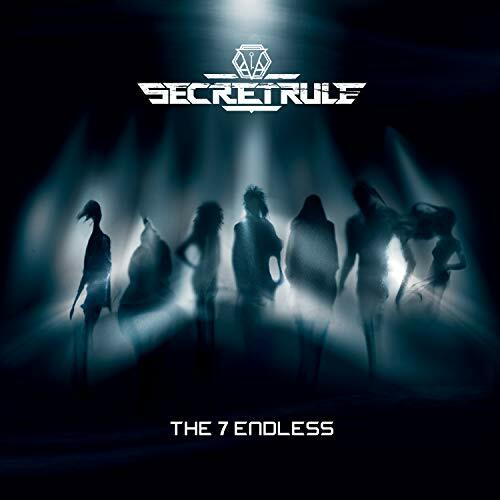 Secret Rule was apparently, “formed in the beginning of 2014 with the intention to create a special sound with powerful rhythms and catchy melodies. During these five years, Secret Rule conquered their space in the metal scene. The band is fronted by the powerful and crystal clear vocals from Angela Di Vincenzo, masterminded by lead guitarist Andy Menario, with accurate bass playing by Michele Raspanti and the powerful drumming from Nicola Corrente.” Wow, accurate bass playing. If that doesn’t whet the old appetite I don’t know what would! The 7 Endless is that rarity these days, a concept album based on spired by "The Endless", characters created by Neil Gaiman for the comic book "The Sandman". This is not a work with which I am familiar. One doesn’t have to be familiar with the comic to appreciate that The 7 Endless is a very sound piece of work all the way through. Solid, if not entirely essential there is, as I have noted, much to appreciate. It’s pretty grandiose throughout and Ms Di Vincenzo has a pleasing voice which unusually for the symphonic metal genre does not strain too much nor veer towards the overly operatic. When the band really get their act together as on the third track "Dream" they have a whiff of Xandria about them which I always think is a good thing. On "Desire"early Nightwish spring to mind but not in any plagiaristic sense and the guitar solo takes it into other realms anyhow. Though I have picked out two key tracks the album flows nicely and benefits from listening to all the way through.